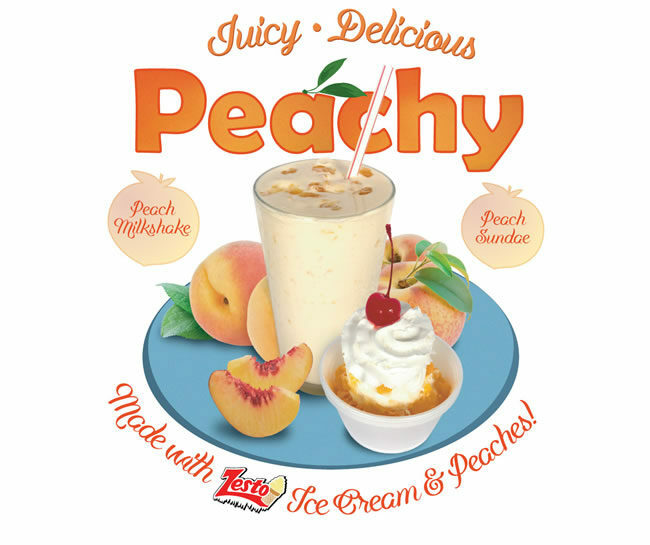 Zesto restaurants wanted to promote some of their juicy and delicious “peachy” flavored treats. This composite image ad was used for counter signs, window decals and postcards. 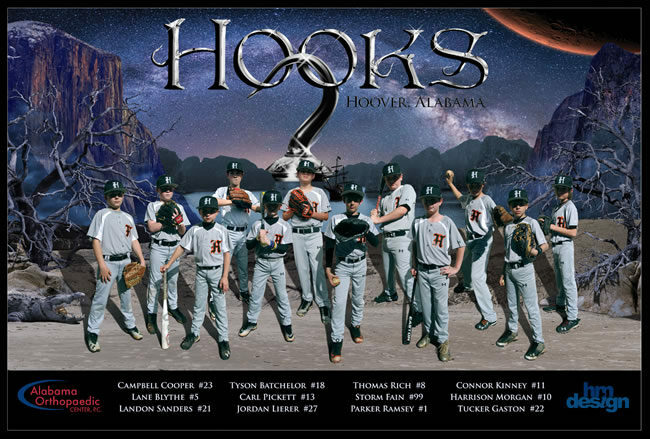 The fourth poster in a series for a little league baseball team introduced a new team with a new name – the Hooks! More pirates, but this time with a Neverland inspiration. This fun and challenging Photoshop project involved removing one slice of cheese, then adding bacon and a large onion ring to this famous double decker hamburger! 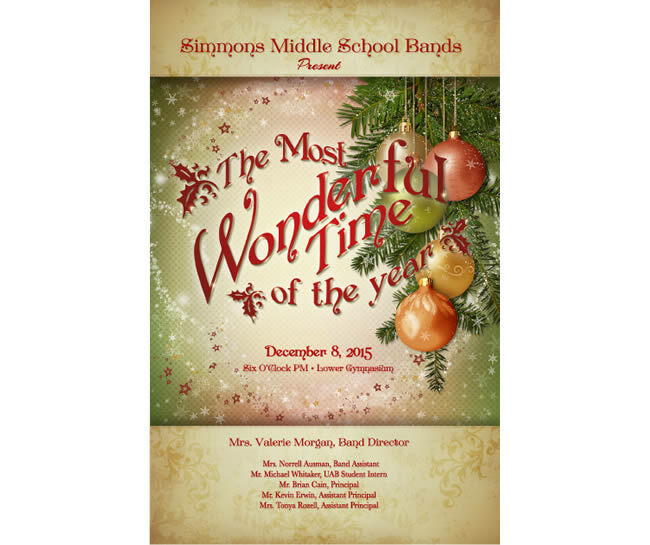 The theme for the Simmons Band concert was based on the popular Christmas tune “It the Most Wonderful Time of the Year”. There’s a lot of information packed into this 4 page hand-out, so custom icons and infograophics help convey the messaging without being too wordy.